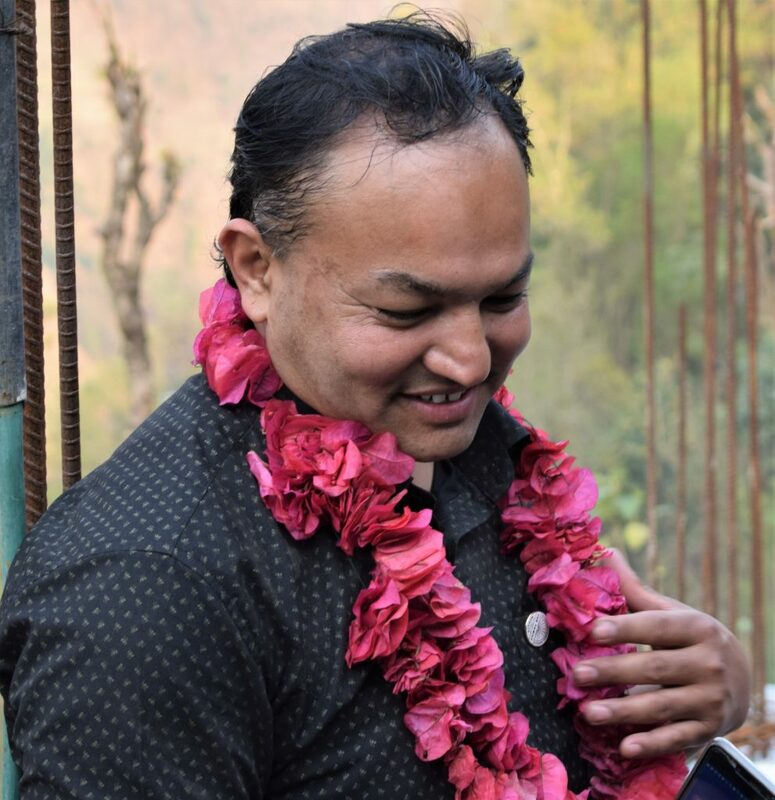 In January this year Gyan (Pronounced Jan) Shrestha took over from Esther Thapa as Director of International Needs Nepal. Here he has written a little more about his testimony and the roles that led him into the ministries of International Needs Nepal today. Read on to get to know a little more about Gyan! “Hello everyone! My name is Jnyan Narayan Shrestha (Gyan) and I joined International Needs Nepal as Director in January 2018. I was born in 1973 to an orthodox Hindu family and grew up far away (160km) from Kathmandu, the capital city in Nepal. I am the only son in the family of 11 and all 8 children are daughters. In comparison with my sisters and being the only son, I was favoured in terms of education, food supply and other basic needs. Whenever I get to remember this discrimination my parents showed to their daughters I still feel very sad. Being the son of a farmer, my childhood days were spent working in the fields with my father before and after school time. In 1991, when I was a student, a missionary from South India came to Nepal and stayed in our village house. I used to spent time with him discussing a lot and used to claim that gods and goddesses of Hindus were supreme to the Christian god. The time went by and our discussion went on and on. As a result, I was convinced that Jesus is the true God who can cleanse our sins of all human beings as well as my own sins. I accepted Jesus as my Saviour and was baptised in 1997. After baptism, there was a sudden change in my life. My parents, who once used to love and care for me more than my 8 sisters, started to persecute me. My father asked me to leave the house several times saying that I brought shame in the family. They used to scold me saying that I had accepted the foreign religion, a cow eating religion. After receiving Christ as my personal saviour, I got so excited that one day I threw out all the materials, idols and shrines of gods and goddesses. My father had noticed my activities and challenged his gods to punish me for my deeds. Ironically, nothing bad happened to me or my father. Since that day onwards, my father started to have faith in Jesus. The 41st group of Lydia Ladies to graduate from the Lydia Programme in Kathmandu earlier on this year. In 1996, I came to Kathmandu to study a post-graduate degree in Chemistry. I then worked as a Science teacher for 7 years. After this, I joined World Vision International Nepal and worked as a Community Development Coordinator which was the beginning of my career in development. In the meantime, I served as a youth leader in my church in Kathmandu. I served needy communities for 14 and half years through World Vision Nepal and my last role was as National Sponsorship Manager but left in September 2017. When I left World Vision, I asked God to bless me with an opportunity where I could reach as many needy communities in Nepal as possible so that I can demonstrate the love of Christ in my word, action and deeds. I was waiting for God’s response. He is very faithful and trustworthy. As a result of his response, one day I received a call from one of my friends asking me I was interested to join International Needs. Many children are sponsored in Nepal by supporters here in the UK. 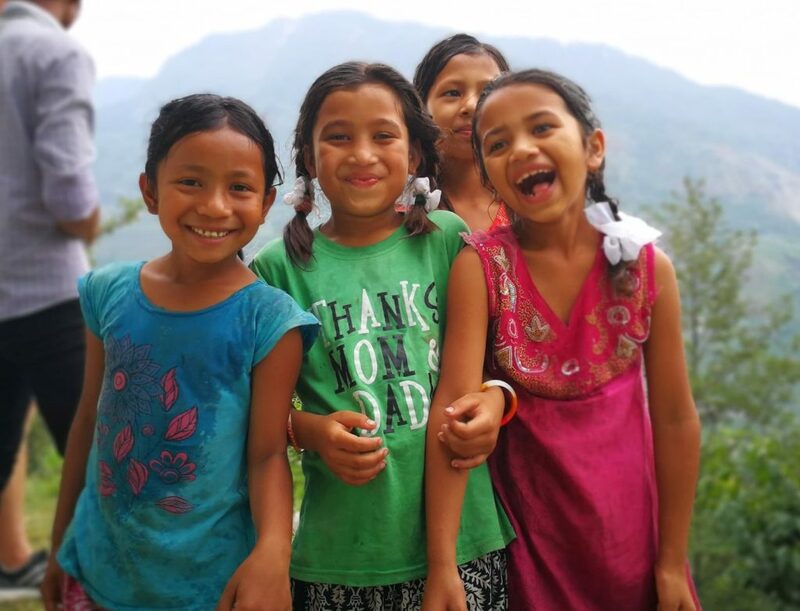 God has been working in Nepal through IN ministries beginning with the children’s sponsorship program in 1982, community development program in 1988 and Lydia Vocational Training Center since 1997. Now, our 3000+ sponsored children, Lydia ladies and 40 community workers are living as salt and light in their respective communities. They will be change-agents that ultimately contribute to changed communities. I’m very passionate to serve needy children and communities and share my faith, so I went through the process and was selected as Director of International Needs Nepal. I would like to extend my thankfulness to all International Needs supporters for showing the love of Christ to reach more needy children and communities of Nepal. I request valuable prayer for the International Needs Nepal team and I to lead the programmes ahead to transform lives so as to bring changes in communities.